Writers everywhere, who have ever gone to an intensive writing workshop, will most likely tell you it changed them as writers and as people. 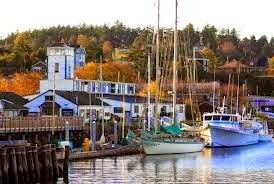 On The Muffin today, we are excited to share with you an intensive novel writing workshop in Port Townsend, Washington in October. We are lucky enough to interview the primary workshop leader, Michael Neff, who is also the "Bay Area Associate" for AEI Film Productions in Los Angeles. As an agent for AEI, he is actively searching for high concept projects in almost any genre that can be transformed into films or books. Imagine yourself in Washington state, in the fall, surrounded by writers and working with professionals who want to help you bring your writing to the next level--to commercial success! So read on to hear about the workshop straight from the person who created it. WOW: Welcome, Michael, to WOW! We can't wait to hear all about the Port Townsend Algonkian Write to Publish Novel workshop from you, the creator and director. So, let's get started. What makes the Port Townsend Algonkian Novel Workshop different from other workshops? Michael: Quite a few things. First, we prepare our writers before they arrive with a variety of readings and knowledge-honing assignments, several of which are provided in an online Algonkian assignment forum. We also provide an 86-page study guide and an array of advanced craft articles, and more. 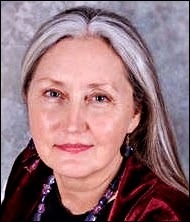 A summary of the pre-event work and assignments can be found on the Port Townsend Novel Workshop website . We want our writers to hit the deck running when they begin on the first day and not waste time with handouts and lectures. We jump right in and speak the language of creation and publishing in the context of each writer's work-in-progress. Second, unlike MFA programs and other writer conference workshops, we do not facilitate group circles, wherein writers advise each other and react on matters of story and writing. We do not believe this approach is in the best interest of the writer. Why? Because one sling of bad advice can harm a writer's chance of success. We see this all the time; therefore, critical advice in our workshop comes only from professionals. Third, we are the only workshop we know of with a syllabus; and fourth, we prepare our writers on the mechanics of artfully pitching literary agents. We emphasize working to create a great novel first, then using the elements of that novel to create a great pitch. More of what makes us different can be found on our Algonkian FAQ page. WOW: Those are four great reasons to sign up! So, what is the goal of the workshop? 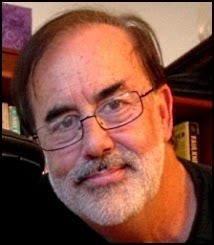 Michael: Nothing short of transforming our writers into career commercial authors. Our motto is "From the Heart, but Smart." After more than a decade of experience in the market and working with professionals, we've learned that commercial publication is a realizable goal only if an aspiring author learns to "cross the epiphany line" and view their work through the eyes of a professional in this business--e.g., an acquisition editor at a major publishing house--and not through the eyes of their spouse, friends, or writer workshop group at home. Our first goal, therefore, is to cajole this epiphany; and if we succeed, our second goal is to provide the kind of material and instruction that will lead each epiphany-enlightened writer down a realistic path to commercial publication. It's always a balance of goals with realities. WOW: A balance of goals with reality. That's exactly what having a writing career is all about. Who are some of the faculty working with workshop attendees this year? Michael: As an agent and coach, I'll be guiding the writers through their plot and premise brainstorming as well as helping them to create their pitch. Melanie Bacon [novelist] will be leading writers through narrative enhancement writing exercises designed to make their prose as competitive as possible. Andrea Hurst [literary agent] will meet with the writers to hear their pitches and discuss their projects while Anjali [novelist] will meet with writers to discuss the creative writing process. All in all, a great mix of skills and focus that syncs with our approach. I will also review each writer's prose in their manuscript (if one is available), as well as work with them on a publication plan to be followed post-workshop. WOW: That sounds amazing. What does the price of $799.00 include? Michael: Tuition includes all workshop sessions, materials, pre-event work, and all consultation meetings with faculty agents and editors. There is no other charge. A continental breakfast and unbelievably great coffee is also included. WOW: Great coffee is a must if any writing is going to get done. If a WOW! reader is interested, how does she apply? Michael: Very easy. The application link can be found on the Port Townsend Novel Workshop website, and at this location. Michael: A couple of reasons. Accommodations can be found at a variety of places and all are located within walking distance of the workshop location at The Swan. The location itself is beautiful, the culture exciting, and the food is fantastic! I personally love PT. Darn good coffee, too! And are we talking seafood? OMG! WOW: It sounds like the coffee and seafood are competing with the writing! (smiles) Anything else you want to add? Michael: Yes. A message to your writers: come prepared to work towards becoming a great writer, not a mediocre one; and bring enough ego to push you forward, but not enough to prevent you from success. WOW: That is terrific advice--thanks for sharing your expertise with us. Muffin readers, we would love for you to go to this workshop if you are able. And if you do, let us know! If you have any questions for Michael, please leave them in the comments below and we'll get answers for you. Too bad this is happening during the school year. It sounds like an incredible opportunity. Writing plus seafood plus gorgeous scenery? (Coffee is not my thing.) That sounds like an unbeatable combination. Margo--Thanks for the interview (and for the cruel tease ;) and Micheal, I love the line about the "just right" amount of ego. That is sooo true. Fantastic overview of what sounds like a great workshop; however I just spent some writing $$$ on a workshop experience. 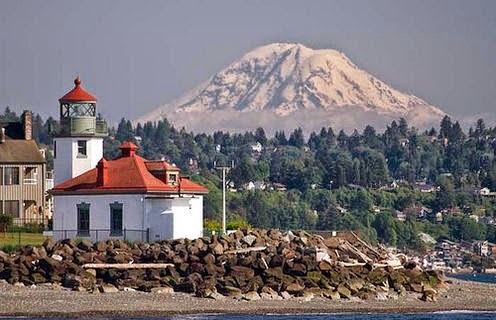 For anyone else reading this, Port Townsend is an awesome place to visit, find great coffee, and fantastic seafood! 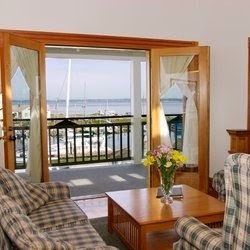 I love going there and writing from our lovely little find of a carriage house overlooking the sound!